The AHL (Art, Humanity, Love) Foundation is delighted to present The Secret of Peace, Hyong Nam Ahn’s solo exhibition curated by Eun Young Choi. The exhibition will showcase Ahn’s most recent sculptures and wall pieces along with his delicate lyrical drawings. Ahn uses a variety of materials such as cut out aluminum forms, stainless steel rods, wood, stone, and oil paint as well as environmental factors such as wind as metaphors that allude to the natural environment. Ahn’s sensitivity to equilibrium, light and movement is accentuated by his use of these disparate materials in a fluid dialogue with each other. In fact, the use of technology and industrial materials such as neon lights in combination with natural materials and motifs are more of a reference to the dichotomy of our environment that encompasses both the manmade and the natural rather than a critique on industrialization or consumerism. The various elements seem fractured yet balanced, engaging the viewer into a sophisticated dialogue about philosophy, nature, progress, technology, and spirituality. Ahn’s poetic and lyrical sculptures and drawings embody both the artist’s spontaneous gestures as well as the refined technical sophistication of his craftsmanship to capture the vitality of both the physical and the spiritual world. While Ahn’s geometric shapes allude to natural motifs, his expressive linear elements and use of neon lights can be linked to the long history of Asian meditative calligraphic brush strokes. Ahn’s elegantly choreographed lyricism and the raw power of the medium embody the complex balance of nature, harmony and peace. Hyong Nam Ahn (b 1955, Korea) earned his BFA and MFA from the School of the Art Institute of Chicago. 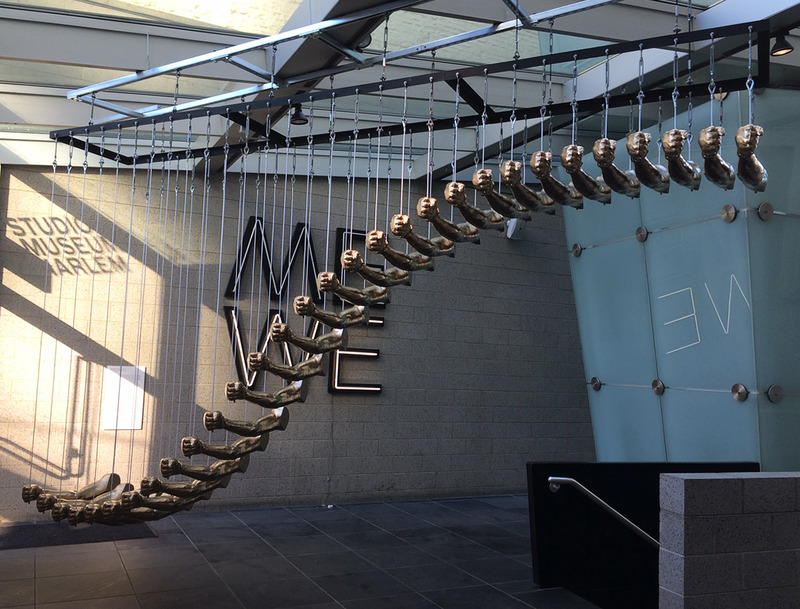 Inspired by Kinetic Art of the 1960s, his sculptures integrate lights, sounds, and movements. Ahn has exhibited extensively including solo and group exhibitions at the Museum of Contemporary Art, Chicago; Tweed Museum, University of Minnesota; Ohio University Art Museum; Arlington Cultural Art Museum, Columbus, OH; Lake View Museum of Art & Science, Peoria, IL; SoMa Museum of Art, Seoul, Korea; and Laciudad Museum, Madrid, Spain among many others. Ahn has received numerous commissions for public sculptures from notable institutions and corporations such as McDonald Corporation in Kirkland, WA; The Mayor’s Advisory Committee on Art & Culture, Baltimore, MD; and McCormick Place Donnelly Hall World Convention Center, Chicago, IL. Eun Young Choi, Director of Programs at AHL Foundation, is a New York-based curator, artist, museum educator and arts administrator originally from Seoul, Korea. She holds a MFA from the School of Visual Arts and a BFA from the School of the Art Institute of Chicago. Choi has organized exhibitions and cultural events in collaboration with various organizations including the New Museum’s IDEAS CITY Festival, National Academy Museum, United Nations Headquarters, and Asian American Art Centre. Her exhibitions and programming have been featured in the New York Times, New York magazine, VOGUE magazine, The Brooklyn Rail, Artcritical and numerous other media outlets. AHL (Art, Humanity, Love) Foundation is a 501(c)3 visual arts organization with a mission to support Korean artists living in the United States and is committed to promoting and providing greater exposure of their work. Founded by Sook Nyu Lee Kim in 2003, the AHL Foundation has been committed to seeking and promoting talented Korean and Korean-American artists while building a wider public awareness of the important cultural contributions made by these artists. Other AHL programs include commissions, exhibitions, art history classes, public lectures, museum and gallery tours along with professional development opportunities for artists through studio visits, the AHL Forum, Visual Art Awards and Project Grants. This exhibition is organized by the AHL Foundation with the generous support from the New York State Council on the Arts, New York City Department of Cultural Affairs, Jason J. Kim Oral Design, KISS Products and numerous other donors. For additional information about our programs please visit www.ahlfoundation.org. For inquiries about the exhibitions, please contact us at info@ahlfoundation.org or 516-983-3935. This entry was posted in Exhibitions and tagged AHL Foundation, Art Mora Gallery, Hyong Nam Ahn, NYC on March 8, 2016 by achang. The AHL Foundation is pleased to announce the launch of the AHL – Andrew & Barbara Choi Family Grant, an annual project grant of $5,000 awarded to recognize and support the accomplishments of talented artists of Korean heritage working in the United States. The AHL–Andrew & Barbara Choi Family Grant aims to nurture and assist talented visual artists in realizing forthcoming projects while building their capacity to sustain their productive long-term careers. The main purpose of the grant is to support the artist’s creative process and to cultivate innovative and challenging work through financial assistance during key moments in the development of an artist’s career. Two most important criteria for the grant are artistic merit and its impact on contemporary art. This is a project specific grant and can only be used for the creation and exhibition/execution of a specific artwork/project. Artists cannot use this grant for their living expenses. Grants are made on a project basis to visual artist of Korean heritage who are legal residents of the United States. The project must have a public component that takes place between October 2015 and September 2016. The grant is open to all emerging and established visual artists working in all media, including interdisciplinary genres. An ideal recipient would be an emerging, midcareer or established artist who has a substantial financial need in executing an impending project. Applicants must not be enrolled in any degree program at the time of the application deadline. October 24, 2015: First installment of grant ($4,000); Second installment ($1,000) will be awarded after the public component has been executed. Project Report and Receipts must be submitted within 30 days of project completion. Work Sample Description including title, year, medium, and duration (if application). Two Professional References must be listed for us to contact. Copies of up to 3 reviews can be uploaded to the online application. Catalogs should be mailed or hand delivered to the AHL Foundation office. The Andrew and Barbara Choi Family Foundation is a 501(c)3 private charitable foundation based in Northern NJ. The primary focus of the Andrew and Barbara Choi Family Foundation is to provide support to Korean-Americans to help them find their passion and achieve their goals. The foundation focuses on providing this support through grants and scholarships. Through the support of his wife Barbara and his three children, founder Andrew Choi has built a successful business in the New York metro area over the last 45 years. Leveraging his experience and success, the foundation looks to provide support to others in the Korean-American community in their efforts to find their own success. This entry was posted in Announcement, Fellowships and tagged AHL, Andrew & Barbara Choi Family Grant, grant, Korean, NYC on May 22, 2015 by achang. Through radically restricted means, On Kawara’s work engages the personal and historical consciousness of place and time. Kawara’s practice is often associated with the rise of Conceptual art, yet in its complex wit and philosophical reach, it stands well apart. Organized with the cooperation of the artist, On Kawara—Silence will be the first full representation of Kawara’s output, beginning in 1964 and including every category of work, much of it produced during his travels across the globe: date paintings (the Today series); postcards (the I Got Up series); telegrams (the I Am Still Alive series); maps (the I Went series); lists of names (the I Metseries); newspaper cuttings (the I Read series); the inventory of paintings (Journals); and calendars (One Hundred Years and One Million Years). The exhibition will also present numerous drawings produced in Paris in 1964, which are fascinating proposals for unrealized works; and Kawara’s only two extant paintings of 1965, Location and Title, which herald the Today series. In conjunction with the exhibition, the Guggenheim will organize a continuous live reading of the artist’s One Million Years, the steady recitation of numbers from a vast ledger, which will be performed on the ground floor of the Guggenheim rotunda. On Kawara’s paintings were first shown at the Guggenheim Museum in the 1971 Guggenheim International Exhibition. Over 40 years later this large exhibition will transform the Frank Lloyd Wright rotunda—itself a form that signifies movement through time and space—into a site within which audiences can reflect on an artistic practice of cumulative power and depth. This entry was posted in Announcement, Exhibitions and tagged Guggenheim, NYC, On Kawara, Silence on January 7, 2015 by achang. This entry was posted in Uncategorized and tagged memorial, NYC, Po Kim on February 14, 2014 by achang. 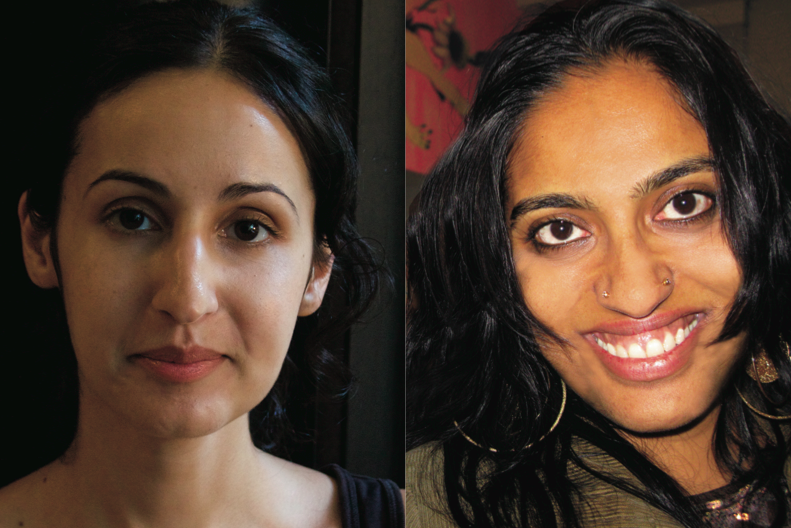 Artists Chitra Ganesh and Mariam Ghani have collaborated since 2004 on the project Index of the Disappeared, which is both a physical archive of post-9/11 disappearances and a mobile platform for public dialogue. Index also stages visual and poetic interventions to circulate fragments of our archive in the wider world. The Asian/Pacific/American Institute at NYU is thrilled to welcome Ganesh and Ghani as its 2013-14 Artists-in-Residence with a public program featuring the artists in conversation with Gayatri Gopinath (NYU Department of Social & Cultural Analysis). A reception will follow. This entry was posted in Talk/Panel, Uncategorized and tagged A/P/A Institute, Chitra Ganesh, Mariam Ghani, NYC, NYU on October 7, 2013 by achang.